Two years ago her sister graduated and I made a quilt for the occasion. Time to make a quilt for this graduate. waiting for its turn to come out and play. I needed something mindless and easy. 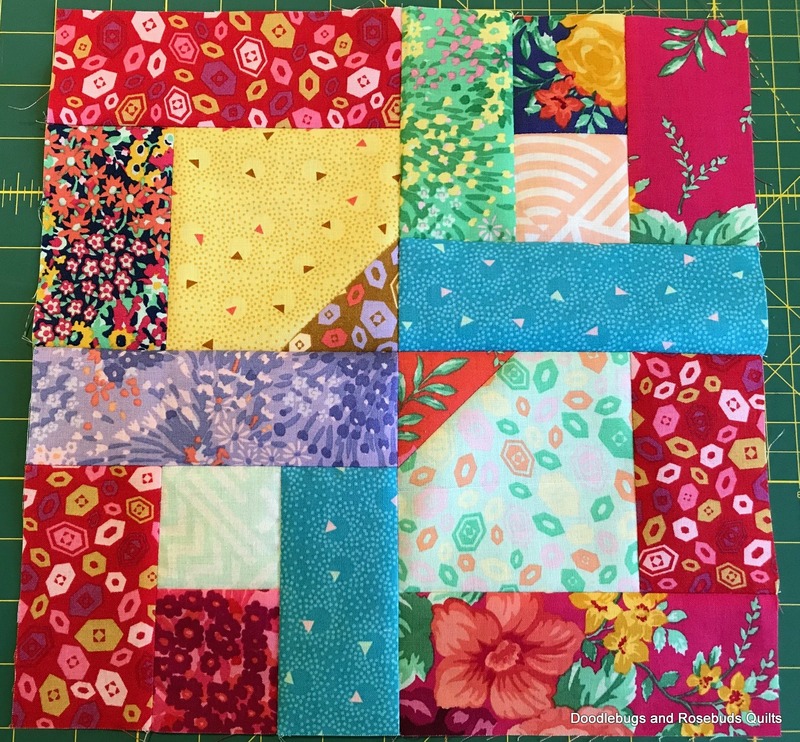 No seam rippers were involved in the creating of these blocks! 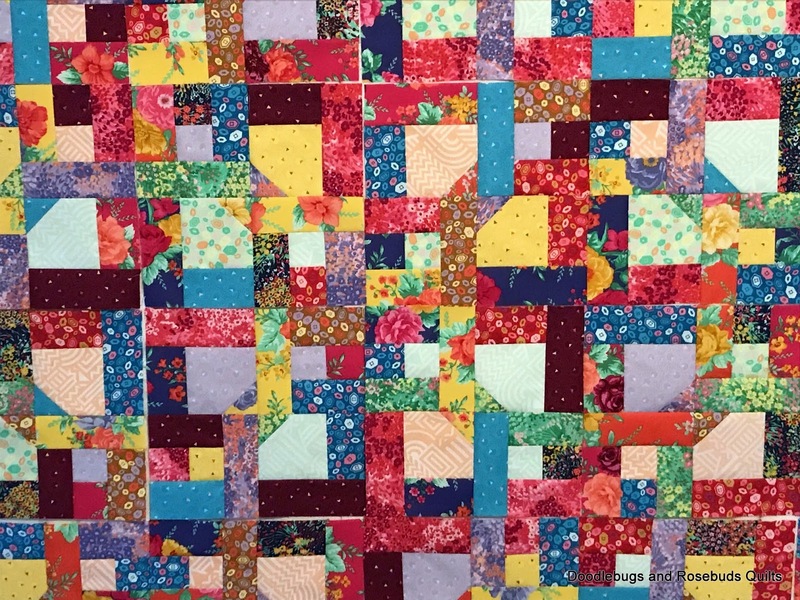 There are two small blocks that make up the big blocks for this design. I would add more fabrics to the mix. light fabrics in these blocks. Finally, I said it's done. so I can have like fabrics together in my quilts. 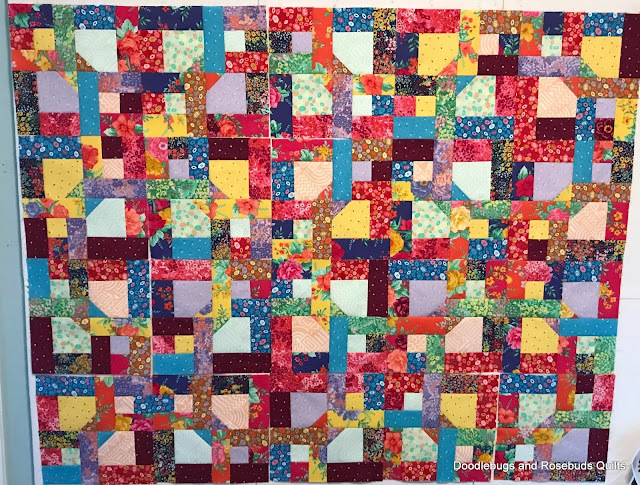 This is the 12 1/2" unfinished block that makes up this quilt. I'm linking to Design Wall Monday today. 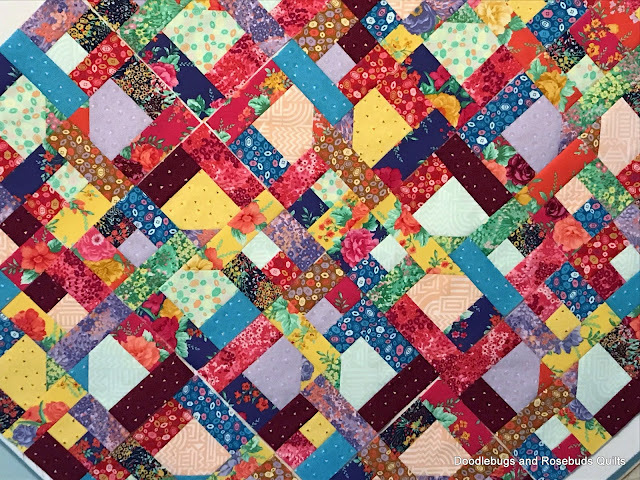 That's such a cheerful quilt. Love the pattern. I agree, a solid or something less busy for the lights would definitely calm it down. What size are the blocks? I really like this one, Ramona. It would be fun to do it in a scrappy version with just two colors. I'll have to add this one to my "someday list". You are always tempting me with such great patterns. That will make a fabulous graduation gift. I love this quilt! I have a friend who is always looking for ways to use up scraps. Of course the look of a quilt depends on the quality of the scraps, yours shines! I love this one too! You are such a generous friend! 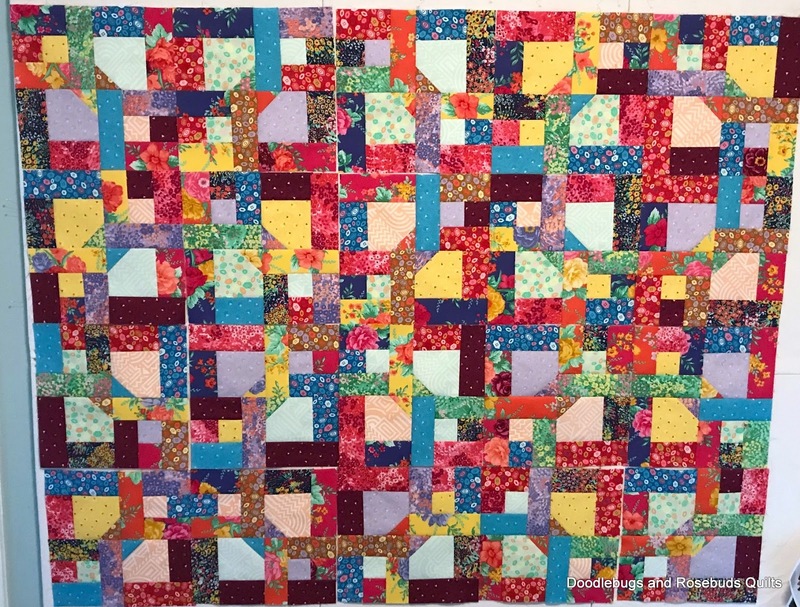 What a lovely, scrappy, cheerful graduation quilt, Ramona! She's going to love it. And no, it doesn't look "mindless" to me, either. I do that, too -- notice something in a photo that I didn't see in person looking at the layout. Wonder why that is?! Happy quilting! What a wonderful colorful explosion!! 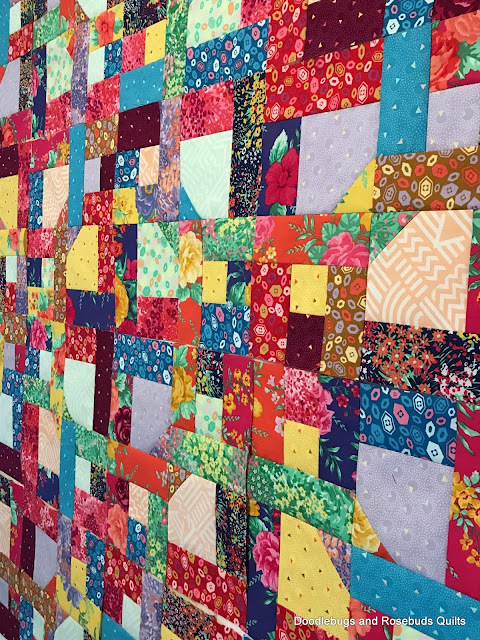 What a wonderful gift and a great bright quilt for a graduate! 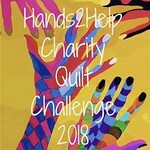 I am working on a birthday gift quilt and hope to be done this weekend, we shall see!